This composition for Piano, Vocal & Guitar (Right-Hand Melody) includes 6 page(s). It is performed by Ariana Grande. The style of the score is 'Pop'. Catalog SKU number of the notation is 408704. 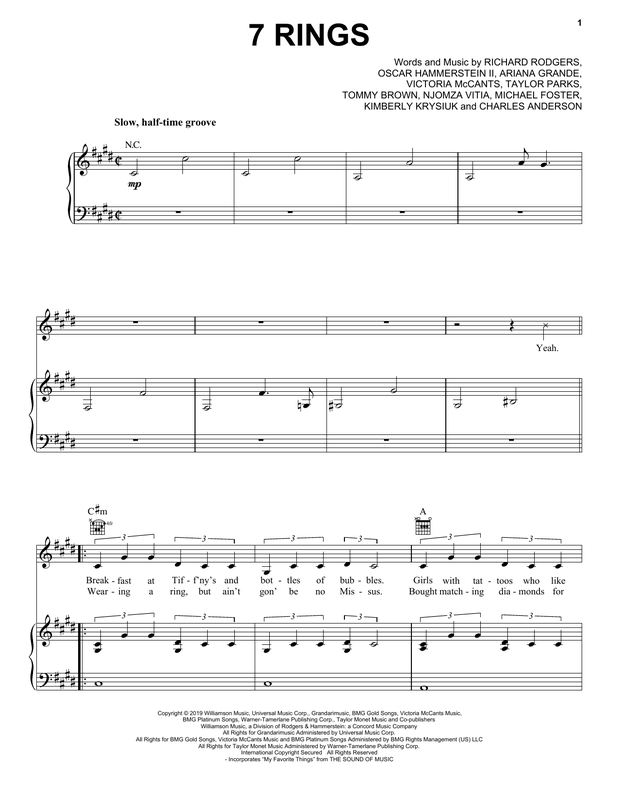 This score was originally published in the key of E. Authors/composers of this song: Words and Music by RICHARD RODGERS, OSCAR HAMMERSTEIN II, ARIANA GRANDE, VICTORIA McCANTS, TAYLOR PARKS, TOMMY BROWN, NJOMZA VITIA, MICHAEL FOSTER, KIMBERLY KRYSIUK and CHARLES ANDERSON. This score was first released on Friday 18th January, 2019 and was last updated on Friday 18th January, 2019. The arrangement code for the composition is PVGRHM. Minimum required purchase quantity for these notes is 1. Please check if transposition is possible before your complete your purchase. 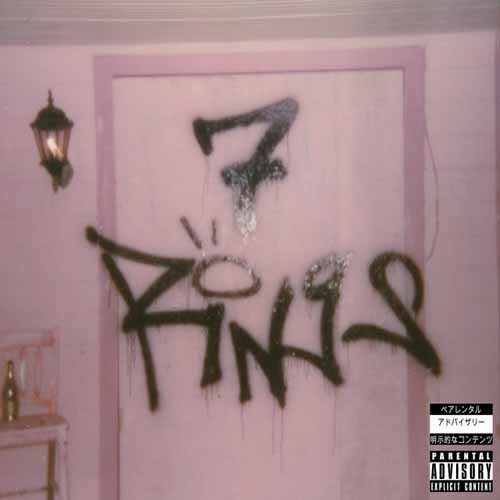 * Where transpose of '7 Rings' available (not all our notes can be transposed) & prior to print.